The Spanish island of Ibiza became a popular haunt of hippies in the 1960s, who were drawn to the island by the wonderful weather, beautiful beaches and stunning scenery. Shortly after, many local business started to flourish due to these new visitors to the island and nightclubs began to open and thrive in Ibiza. The exceptional nightlife is now synonymous with the island. 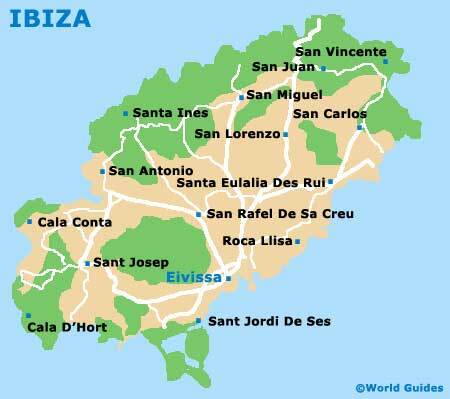 Ibiza has a reputation as a party island and during the 1990s, tourism here grew dramatically and the island was recorded in the Guinness Book of World Records as the 'entertainment island of the world'. Many thousands of visitors fill the resorts on Ibiza and the big-name nightclubs are legendary, attracting partygoers from all over the world. 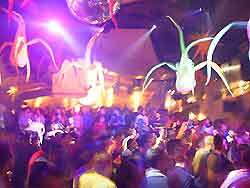 The main pioneers of clubland in Ibiza were the large clubs of Amnesia and Pacha, which opened here in the 1970s. Shortly afterwards the Ku Club joined the scene, better known as Privilege, and gradually the reputation of the clubs spread and they quickly became fashionable, attracting the rich and famous to the island's lively nightlife. In the 1980s and 1990s many DJs came to Ibiza during the summer season and established their own brand of dance music, which became associated with the island. Many of the DJs became famous and performed to large crowds of more than 3,000 nightclubbers. The clubs and nightlife in Ibiza are now an important part of the islands economy, attracting many tourists. There are several major clubs on Ibiza and they can accommodate literally thousands of people. Privilege is the largest nightclub and when it is full, holds around 10,000 guests. The nightclubs on Ibiza offer different themed attractions every night and are well promoted on the island. Admission charges are usually fairly high and drinks are also expensive in the largest nightclubs, where the dance floors are often filled with foam. The smaller clubs are cheaper and although they do not have such major entertainment, they do have a charm of their own. Clubbers are not expected to follow a specific dresscode and many enjoy setting trends and follow the island's strong sense of fashion. During the peak tourist season on Ibiza, there are bus services that connect Sant Antoni with Ibiza Town, where the majority of the nightclubs are located. Many of the world's top DJs perform in the leading nightclubs on Ibiza and these DJs often dictate the kind of music that will be played in major clubs all over the world later in the year, including many summer anthems. There is not one definite style of music in Ibiza nightclubs, although much of the music is a fusion of Latin and funk rhythms, combined with a strong beat. Nightclubs stay open until the early hours of the morning and many people are still partying when dawn arrives.